Top Performers: While Jordan Kyrou (STL) led the Canadians with ten points and had a fantastic tournament, the undisputed top player was the fourth overall pick this past June, defenseman Cale Makar (COL). The UMass product posted three goals and five assists to finish third in scoring for Canada. Tied for first among all defenseman in points at the WJC, Makar showed his next-level offensive ability for the first time on the international stage. Sam Steel (ANA) impressed as well with nine points and the second-best face-off percentage in the tournament. Victor Mete (MTL) showed his NHL experience has already had an impact on his defensive game; he finished +11 without a single goal scored while he was on the ice. Carter Hart (PHI) finished with the best save percentage, .930, and goals against average, 1.81, in the tournament. Biggest Surprise: Probably the surprise of the whole tournament was Drake Batherson (OTT), a fourth-round pick who was not even invited to Canada’s camp, who led Canada in goal-scoring with seven tallies. Canada had faced criticism of including Batherson on the roster over several recent top picks who were skipped over, but decision paid off in a major way. Top Performers: If Rasmus Dahlin (2018) wasn’t the presumptive #1 overall pick in 2018 already, he is after the WJC. With a team-high six assists and +7 rating in major ice time, Dahlin proved that his draft stock is legitimate. While polarizing during the medal ceremony, the only opinion of Lias Andersson’s (NYR) play was that it was strong. The Swedish captain tied for the team lead with seven points, six of which were his team-high six goals. Elias Petterson (VAN) and Alexander Nylander (BUF) were also impressive with seven points apiece. Filip Gustavsson (PIT) was rivaled only by Canada’s Hart in terms of the tourney’s top goaltender. Biggest Surprise: The Swedes were top-heavy in terms of scoring, with the aforementioned four standouts contributing much of the offense, but that didn’t stop Axel Jonsson Fjallby (WAS) from making his presence felt. The 2016 fifth-rounder had four points, including two shorthanded goals, and was third on the team in shots. Top Performers: Kieffer Bellows (NYI) led the WJC with nine goals and his teammate, Casey Mittelstadt (BUF), shared the tournament lead in points with eleven. So, while the U.S. fell short of their goal of being repeat champions, they arguably showcased the two best players of the World Juniors. 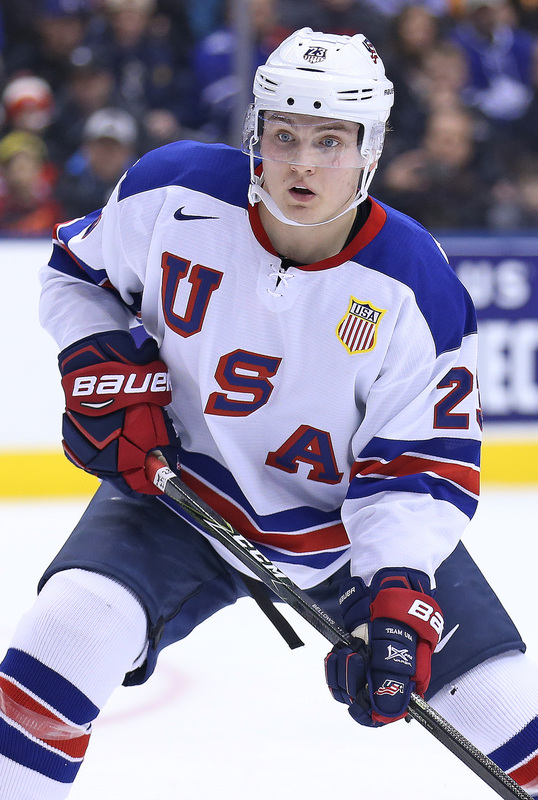 Bellows passed up Jeremy Roenick as the highest goal-scoring American player in WJC history and finished one point behind Mittelstadt for the total points lead in a strong effort, while Mittelstadt was not only a top scorer, but a top a well-rounded presence as well, with a +8 rating. Mittelstadt’s rating was only bested on the team by defenseman Dylan Samberg (WPG), whose +10 was third-best at the WJC. The nine points for Brady Tkachuk (2018) will only serve to help his draft stock this June. Biggest Surprise: Despite being assigned a crucial two-way, defensive role for the U.S., Trent Frederic (BOS) still managed to pot five goals, second-most on the team behind Bellows and tied for fifth in the tournament. He was also the only American player to score goals at even strength, on the power play, and on the penalty kill. Top Performers: Perhaps the player that helped his draft stock the most at the World Juniors was Filip Zadina (2018), who tied for second in the tournament with seven goals and helped lead his team to a semifinal appearance. The man assisting on many of Zadina’s goals was Martin Necas (CAR), who tied the U.S.’ Mittelstadt as the WJC’s points leader and led the tournament with eight assists. Necas looked like the most pro-ready prospect in the entire tournament. On the back end, Libor Hajek (TBL) tied only Canada’s Makar for the most points by a defenseman. Biggest Surprise: The Czech’s scored more goals, 22, than any other team in the tournament. While Necas and Zadina, arguably the tournament’s most dynamic duo, had a lot of input, the whole roster stepped up and helped the team finish higher than other teams considered to be contenders, such as Finland and Russia. Top Performer: Eeli Tolvanen (NSH) – 1 goal, 5 assists, 6 points. Led team in assists, points, shots, and +/-. Biggest Surprise: Joona Koppanen (BOS, 5th-round in 2016) – 3 goals, 1 assist, 4 points. Second on team in goals. Top Performer: Klim Kostin (STL) – 5 goals, 3 assists, 8 points. Led team in goals, points, and +/-. Biggest Surprise: Artur Kayumov (undrafted) – 3 goals, 2 assists, 5 points. Second on team in goals and points. Poll: Who Will Win Gold At The World Juniors? With the NHL about to head into its Christmas shutdown—no games are scheduled from December 24-26th—die hard hockey fans will need to look elsewhere for their frozen fix. The answer to that, unless you are a big Spengler Cup fan, is obvious. The World Junior Championship begins preliminary round play on December 26th with a matchup between Russia and the Czech Republic at 11:00am central. That’s followed by four more games that day and the rest of the tournament that stretches until January 5th. It’s easy to see why our readers are overwhelmingly more interested in the junior tournament than the upcoming Olympics, after the NHL pulled out of competition. The interesting part is how popular the U20 competition has become regardless of other international events. For prospect junkies, and patriotic puck lovers there’s just nothing better than seeing (mostly) amateur athletes compete for their country and show why they’ll be the next star of the NHL. The tournament can be used as a coming out party where potential flourishes, or a harsh spotlight that uncovers flaws previously unnoticed. The United States, reigning champions of the tournament, are bringing back an exceptionally talented squad and should be in the running for the medal round once again. Returnees like Kieffer Bellows and Adam Fox are expected to be among the tournament leaders for their respective positions, and there are exciting young prospects making their first appearance. Canada, as always, can never be overlooked. After losing to the USA in the gold medal game a year ago, the team has gone with almost an entire team of 19-year old players, cutting some surprising names in the process. While there is a distinct lack of name recognition on the usually star-studded Canadian squad, it is a chance for some less heralded prospects to show that they deserve to be household names. Sweden is as usual strong defensively, boasting some of the strongest skaters in the tournament on their blueline. Timothy Liljegren will certainly garner a lot of attention, as will potential 2018 first-overall pick Rasmus Dahlin. They’re not to be overlooked up front though, as current SHL scoring leader Elias Pettersson will show exactly why he went fifth-overall to Vancouver last June. Finland will look to bounce back after an incredibly poor performance last season that saw the coaching staff fired mid-tournament. After taking home gold in 2016, there is a lot to like about the 2018 squad. Eeli Tolvanen, one of the biggest stories of the KHL season, is a favorite to lead the tournament in scoring, while their defense corps led by players like Miro Heiskanen and Olli Juolevi can stand with anyone. Russia, of course, can never be completely taken out of the running, but haven’t won a gold medal since 2011. Their team has a ton of relative unknowns to North American viewers, but will have one name everyone will be especially intrigued by. Andrei Svechnikov, another potential first-overall selection in 2018, is considered by many already ready to make the jump to professional hockey. While this tournament isn’t the pros, it certainly is the highest level he’ll have ever played. So who do you think will take home gold? Will it be one of the favorites, or will one of the lesser-known teams find lightning in a bottle and ride it all the way? Who will be the tournament MVP? Discuss all that and more after voting below. The World Junior Championship is one of the most anticipated hockey moments of the year, a chance to see the next generation of NHL talent play in a high level tournament against the best in the world. Each subsequent year brings more drama and more skill, and this year is no different. The defending champions, Team USA has announced their preliminary roster today, which includes 28 players that could be taken to Buffalo, NY for the tournament at the end of the month. That number will be shaved by five before the tournament starts, giving them a 23-man roster for their first game on December 26th. This group is loaded with talent all over the roster, with seven players returning from the gold medal-winning 2017 squad, and two potential top-5 picks in the 2018 NHL Entry Draft. A potential top line of Mittelstadt-Brown-Yamamoto might scare an NHL team, let alone the international junior squads. One name to keep an eye on is Bellows, the son of former NHL great Brian Bellows and top pick of the New York Islanders. The 19-year old Bellows scored twice at last year’s tournament and is off to a great start with the Portland Winterhawks, registering 37 points in 26 games. While he doesn’t look imposing physically, Bellows is a wrecking ball on skates and can dominate competition with his power and speed combination. With the added experience from last year’s tournament, he should be one of Team USA’s top players this time around. Amazingly, this team is actually missing some of their top options. Clayton Keller would still be eligible to play, but is instead starring for the Arizona Coyotes as a 19-year old. Kieffer Bellows would have liked to have come out of camp with the New York Islanders with an NHL job, but as he heads to his junior team he’ll take the next best thing: his first NHL contract. The Islanders cut Bellows from camp earlier today, but have announced a few hours later that he signed his entry-level deal before leaving. The contract is the entry level maximum: three years, $925K per year. The Islanders’ 2016 first-round pick, Bellows has already been an intriguing character for fans to follow. The son of former NHLer Brian Bellows, Kieffer was a standout on the 2015-16 U.S. National Development Team, registering 81 points in 62 games. After being drafted by the Isles, Bellows moved on to Boston University last fall, where he had long since been committed to play college hockey. Yet, in May it was revealed that Bellows would not return to the Terriers this season, instead changing development tracks and moving to Canadian juniors, where the WHL’s Portland Winterhawks held his rights. While many speculated that Bellows move may have to do with the loss of talent at BU – the powerhouse program watched Charlie McAvoy, Jakob Forsbacka Karlsson, and Clayton Keller leave early – but the counter is that more talented NHL prospects remained than left and the team had reinforcements of several 2017 draft picks and 2018 hopefuls coming in. In the end, it seems that college hockey might have just been a poor fit for Bellows and he felt that he could develop better in the WHL. All eyes will be on the 19-year-old power forward this season as he adjusts to the major junior game. With his contract signed, it is possible he could see some time with the Islanders in 2017-18, but seeing as they already have several young forwards still being worked into the lineup, it seems more likely that Bellows will use this WHL season as a tryout for next year’s squad. As national hockey programs start their development programs for this year’s World Junior Championships, rosters were revealed today for the reigning finalists. Team Canada released its development camp roster, while Team USA announced the roster for the Summer Showcase. In a surprising turn for New York Islanders’ first-round pick Kieffer Bellows, Scott McLaughlin of WEEI reports that he will leave Boston University after just one season. The expectation is that he will head to the WHL where the Portland Winterhawks own his rights. It’s been a rough spring already for BU, watching Clayton Keller and Charlie McAvoy both turn pro early in their college careers. 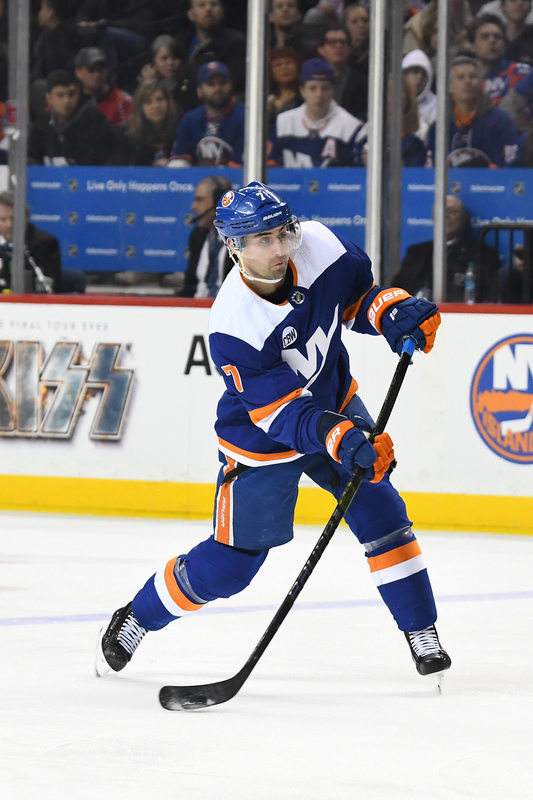 The son of former 50-goal man Brian Bellows who scored 1022 points in 1188 NHL games, Bellows was selected 19th-overall last summer by the Islanders and is expected to develop into a strong power forward able to fit into many different roles at the next level. His time at BU was somewhat underwhelming, scoring just 14 points in 34 games but he was expected to take over some of the offensive load left by Keller when he signed with the Arizona Coyotes. With Jakob Forsbacka-Karlsson also turning pro, there was an opportunity to find success in one of the best college hockey programs in the country. Instead, he’ll likely head to a Winterhawks team that was carried all year by top 2017 draft prospect Cody Glass. Should they play together, Bellows could hardly ask for a better centerman to develop his offensive game with. The Winterhawks picked Bellows 142nd overall in the 2013 bantam draft, likely not expecting him to ever join the CHL ranks. Interestingly, Portland also owns the rights to Jake Oettinger, Bellows’ teammate at BU and expected top goalie prospect in this year’s draft.